Thomas Dale’s Virginia still suffered under his heavy-handed rule in the early 1610s, but the Rolfe/Pocahontas marriage as well as semi-relaxed private property laws began to have a noticeable affect upon the colony. Rolfe took advantage of those newly relaxed laws by introducing a new tobacco strain, the Spanish, sweet-scented Orinoco along the James River. Soon after Rolfe’s successfully growing the weed, and sending a 1,200 lb crop to England, other Virginia colonists began growing the crop on the many plantations that sprung into life after 1613. The Virginia Company began granting land to new settlers both old and new after Samuel Argall ascended to the Lieutenant Governorship. More than 30 plantations were founded upon which Tobacco became the chiefly grown crop. Virginia was now showing signs of profitability, and many believed it to be due in part to the Rolfe/Pocahontas marriage as well as Rolfe’s experimental work. They were now Virginia’s most famous people, and England wanted to see this early modern power couple. 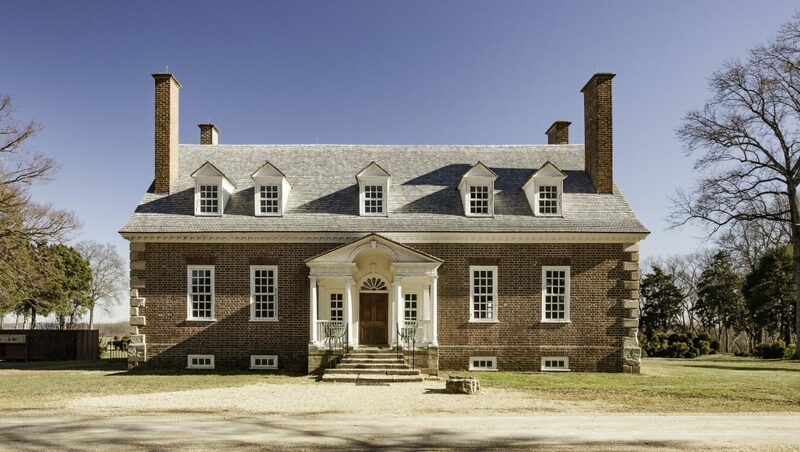 The Rolfe’s journeyed to England in 1616, were a hit, helped bolster the Virginia Company’s books. But the successful junket came at a price. The Powhatan natives were affected by the dirty English civilization. Pocahontas fell ill and died at the outset of their return journey to Virginia. Further, one of Pocahontas’ attendants, Tomocomo, spread his negative reviews to powerful Powhatan leaders upon his return. Those words had an affect, as Opechancanough, Powhatan’s successor, let the words fester, and began plotting an attack against the English. Custalow, Linwood “Little Bear” and Daniel, Angela L. “Silver Star.” The True Story of Pocahontas: The Other Side of History. Golden, CO: Fulcrum, 2007. Encyclopedia Virginia, Sir Thomas Dale. Firstbrook, Peter. A Man Most Driven: Captain John Smith, Pocahontas, and the Founding of America. London: Oneworld Publications, 2014. Hatch Jr., Charles E. The First Seventeen Years: Virginia 1607-1624. Charlottesville, VA: University of Virginia Press, 1991. Kupperman, Karen Ordhal. Captain John Smith: A Select Edition of His Writings. Chapel Hill, NC: University of North Carolina Press published for the Omohundro Institute, 1988. All photography used on this site is owned and copyrighted by the author unless otherwise noted. The featured image is the only known picture of Pocahontas from her lifetime. It was done by Simon Van de Passe upon Pocahontas visit to England. The next image is The Death of Pocahontas by Junius Brutus Stearns. Music used for this episode – Louis Armstrong and the Mills Brothers,”Carry Me Back to Old Virginia” available on iTunes, and “From This Valley by the Civil Wars“, available on Soundcloud. The Virginia Company rapidly changed between Lord Delaware’s 1611 departure and Thomas Gates’ 1612 return. It almost ceased to exist, but somehow endured. Virginia also endured, but that was in spite of Thomas Dale’s arrival and institution of a stricter disciplinary system. His actions, however, meshed with the events taking place in England. He pushed further inland, founded a new city, Henricus, and asked for more settlers to inhabit newly conquered land near Virginia’s second city. Yet the Virginia Company was in no position to supply those settlers. That is, they weren’t able to supply those settlers until a number of schemes rode new waves of excitement, Bermuda’s colonization was leveraged, and a lottery was staged. Even at that, Prince Henry’s stunning death threatened to destroy Virginia altogether. But the times were changing, and Virginia was about to feel the effects of new policies. All photography used on this site is owned and copyrighted by the author unless otherwise noted. The featured images are from the Cittie of Henricus. Music used for this episode – Louis Armstrong and the Mills Brothers,”Carry Me Back to Old Virginia” available on iTunes, and “Monsters Calling Home” by Run River North, available on Soundcloud. The cannon blast that welcomed the Sea Venture survivors was a fitting salutation for the arriving settlers. It only took them a few days to realize that Virginia was not a place in which they wanted to remain. So, they began leaving by June 1610. But just as they were sailing away, a Divine intervention changed the course of the colony’s history. Thomas West, Lord Delaware, the new governor, arrived. He ordered the retreating colonists back to Jamestown, from where Delaware would dictate control. He established new laws, work groups, and fought back against the belligerent Powhatan Tribes. But before too long, Delaware succumbed to one of his chronic illnesses, and he returned back to England. Where did that leave the colony? According to Delaware it was in good shape. It was in good enough shape to send more supplies and people under Thomas Dale in 1611. The Featured Image is of Sidney King’s painting A Dangerous Chore. Music used for this episode – Louis Armstrong and the Mills Brothers,”Carry Me Back to Old Virginia” available on iTunes, and “Mars the Bringer of War” by Gustav Holst performed by the Toronto Symphony, available on Soundcloud.